We do not sell direct, however, there is probably a store near you that carries our products, as well as many mail order catalogs and online shops. Below is a map of shops that carry Brittany needles and hooks. For suggested retail prices see the chart on the products page. We have made the conscious decision that our needles will only be available through independently owned businesses like your local yarn shop. Our products have never been sold in any chain or big box stores. 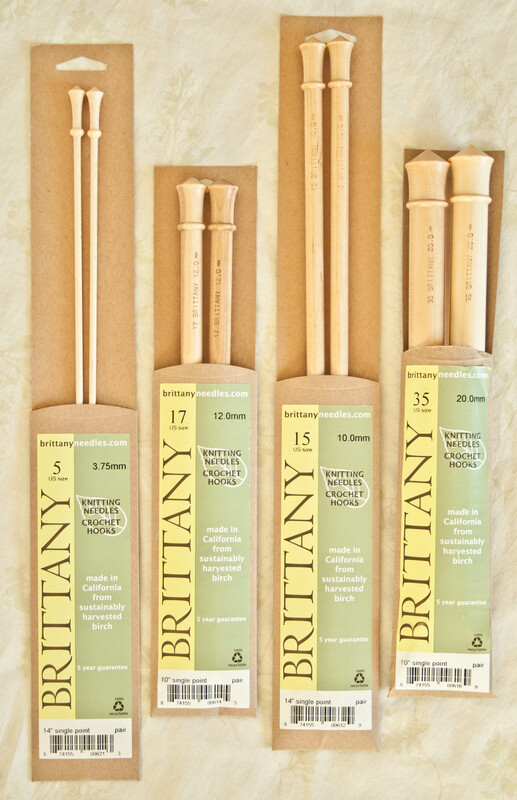 If you are a shop owner we have several distributors that carry the full line of BRITTANY needles and hooks. Any one of them will be happy to help you with any questions you may have regarding prices, sizes, availability, terms, etc. We do our best to keep this map current. Phone numbers are included so you can verify store hours and BRITTANY stock. To search the map by location and to make it easier to read open it in a new window by clicking here.